A hijab-wearing rapper, Mahmoud has challenged some Egyptians’ expectations of how women – and hijab wearers in particular – are meant to behave. Mahmoud, 18, is not Egypt’s first veiled rapper, or even its most experienced. 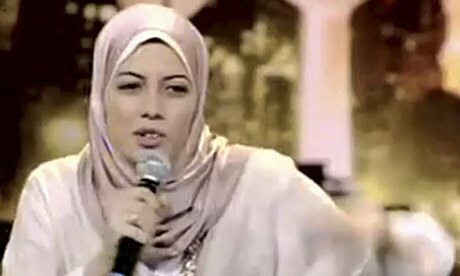 But through her appearances on Arabs Got Talent, a variety show that has become a primetime success across the Middle East, she is one of the few to attract something approaching mainstream attention. Mahmoud, an economics undergraduate from Cairo, says she tries not to listen to listen to western hip-hop. Her biggest influence is her mother, who introduced her to poetry aged 12 and encouraged her to write her own work. When her poetry turned into rap, her parents were initially sceptical because they felt it was not a sufficiently feminine activity for her. But gradually they grew convinced, and eventually they allowed her to record a track in Alexandria, Egypt’s second city, while they waited in a cafe around the corner. Mahmoud’s fans find her inspiring not just because she is a woman but because her work centres on sexual harassment, a local taboo. Harassment is an endemic problem in Egypt: 99.3% of Egyptian women reported being sexually harassed, with 91% saying they felt insecure in the street as a result, according to a UN survey published in April. Her songs tackle harassment and victim-blaming head-on – condemning Egyptian society for accepting harassment as part of everyday life, and for laying the blame for it on women rather than men. Mahmoud thinks the problem can only be tackled if women call out harassers in the street, and she hopes her rapping will encourage others to follow her lead.